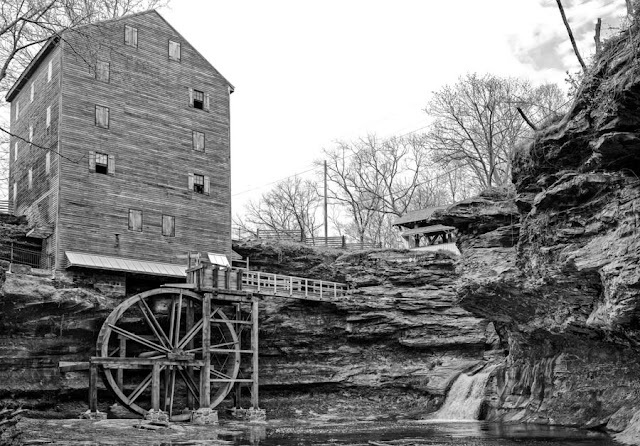 The Rock Mill in Rock Mill Park, Bloom, OH. If you want some history on this place, look here. That site has some great information. 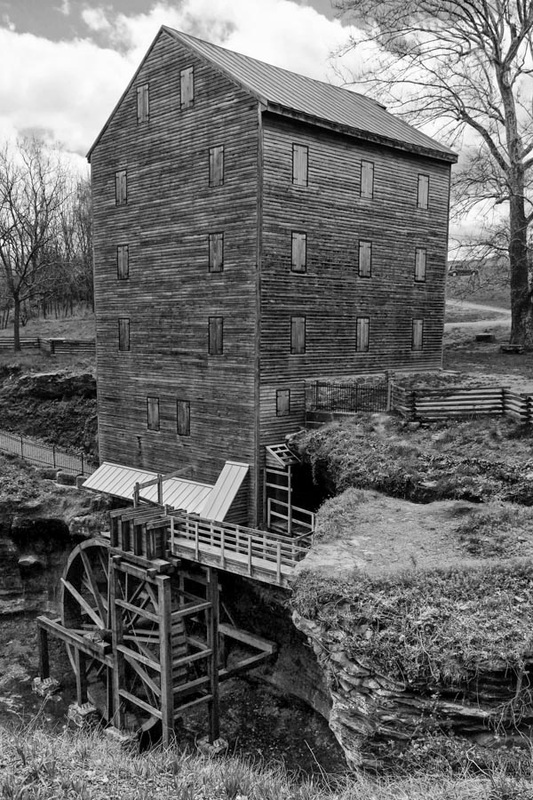 This was a grist mill, which means they used to grind grains into flours. 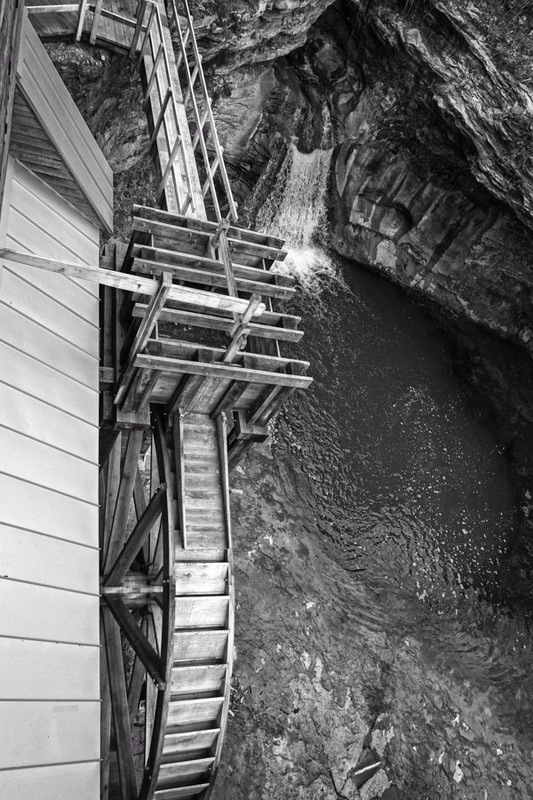 River Level view of the Rock Mill, river falls, and covered bridge. 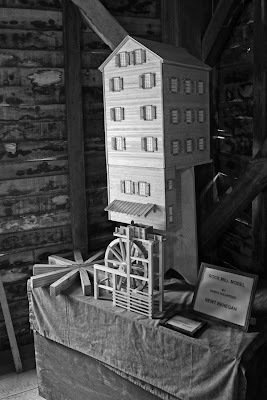 Instead of going over the history of the Rock Mill(which far better writers than me have done), I'm going to share with you my thoughts on the visit there. Water wheel aside of the Rock Mill. The Rock Mill is one of those places that remind you of a simpler time, but also a time of great innovation and industry. In the general area, there were roughly 13 other mills that originally received their power needs from the river. Seeing the machinery and structures built entirely from wood and steel - no electronic controls, no computer automation - gives you a feeling of awe and pride. Man harnessed the power of nature to provide a product/services to the populace. 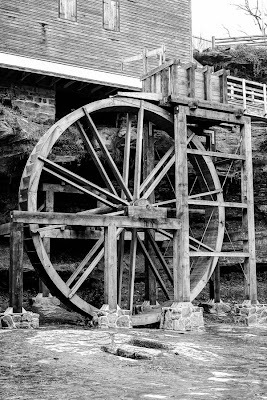 Rock Mill PArk, while small - is very beautiful, educational and interesting. One of those hidden gems that you are glad to finally find and want to share with others. 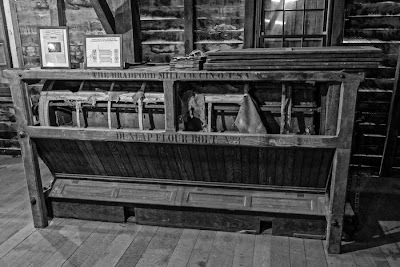 I also want to take a minute to discuss the wonderful volunteers that maintain, curate and share knowledge at the Rock Mill. I'll say this - some of the best!! 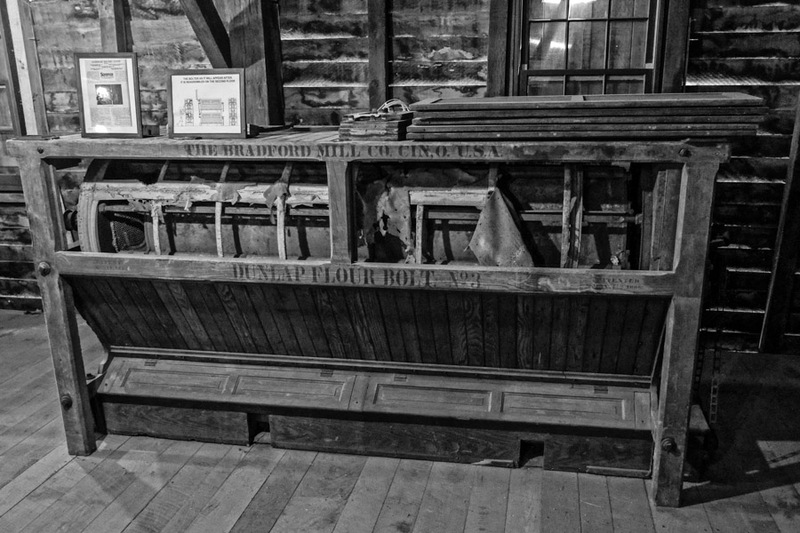 Upon out visit, we were greated by one gentleman that had a vast knowledge of the history of the mill, how the mill would have operated and spent the time to answer all of out questions. He didn't know that we were from VisualOhio to do a story(I told him at the end of our visit). Why does this matter to me? This means that no matter who you are, you get the A+ treatment. This is how it should be. Model built by volunteer of the Rock Mill. are an exact reproduction of the building. The park also holds rallies and special events. In 2013, they hope to have a rally and on that day, they may perhaps be running the water wheel!! Came here via the flickr x-e1 group. 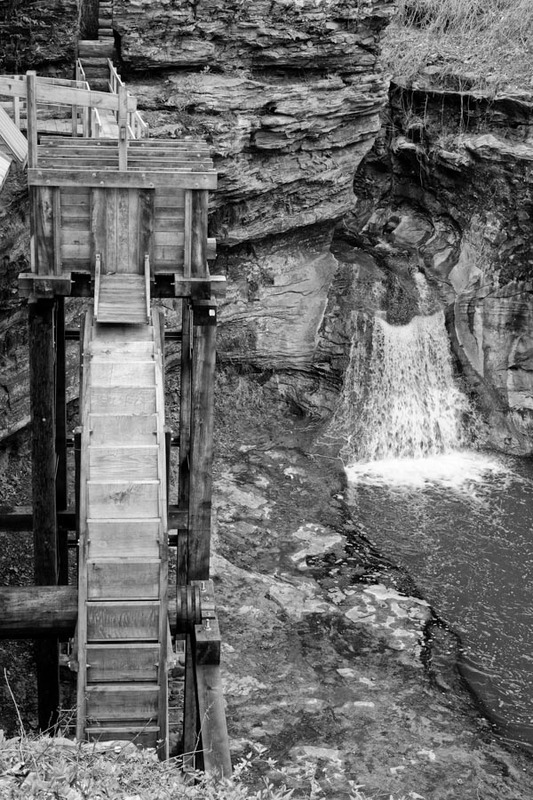 Great pictures and an interesting piece of industrial history. Many thanks for taking the time to share. You are welcome. Glad you came and enjoyed the site. I lіke thе valuable inffo you sսpply for your articlеs. mopre ɦere frequentlƴ. I'm rather сertain I'll bee told a lot of new stuff гight rigҺt heгe! Thank you!!! I hope you found some of our other, more recent articles fun, informative and entertaining.